What if a dog likes to chase squirrels into the street? Would anyone feel bad about denying their dog that pleasure? Of course not. Because there’s an immediate danger associated with allowing that type of behavior. 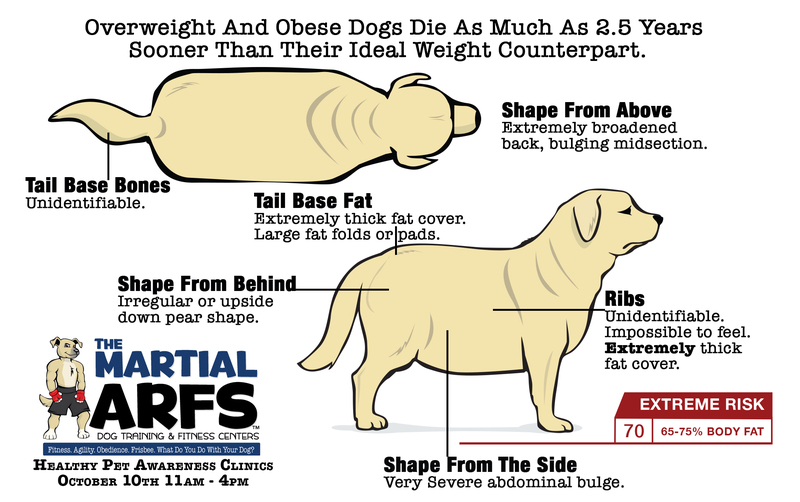 What most dog owners aren’t unaware of is there are similar dangers associated with having an overweight pet. 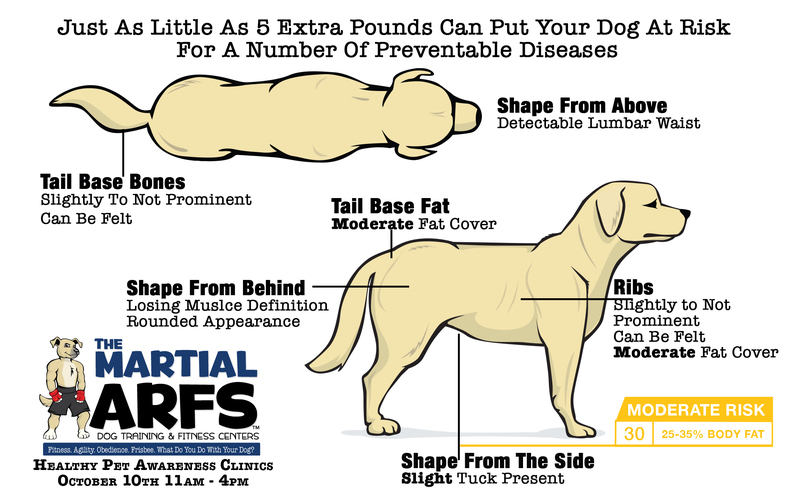 Studies show that as little as 5 extra pounds will make a dog susceptible to diabetes, heart issues, respiratory disease, hypertension, intra-abdominal cancer and osteoarthritis, plus extremely overweight or obese dogs can die up to 2.5 years sooner than healthy weight dogs. Is extra weight really that bad? Yes. Simply put, fat is not just an inanimate tissue. It isn’t just “extra padding” for your cute little “chunky monkey”. Fat is actually a highly physiologically active tissue that produces hormones. 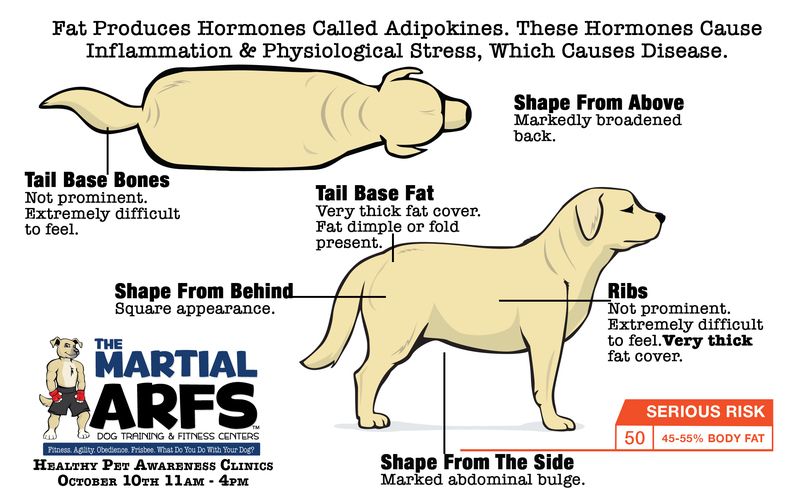 These hormones, called Adipokines, in excess cause damaging inflammation and physiological “stress”. The physiological stress causes other hormone producing organs like adrenal glands and the thyroid to overproduce hormones that will lead to more inflammation and further physiological “stress”. This vicious cycle is what leads to the diseases of diabetes, cancer, high blood pressure, heart and respiratory disease, arthritis and ultimately a decreased life span! How? Inflammation is like a chemical burn to the body. When present for a long time, it will cause scarring and damage to the affected tissues. In bone and the joints, it leads to arthritic changes and osteoarthritis. In organs, it can lead to adhesions, loss of cell function, or changes to cell function causing them to become cancerous. So what is a dog owner to do? The most effective plan to deal with fat and it’s associated medical conditions is WEIGHTLOSS. Results are best if done proactively, i.e. before there are signs of illness. The weightloss decreases the amount of fat and therefore the amount of adipokines. 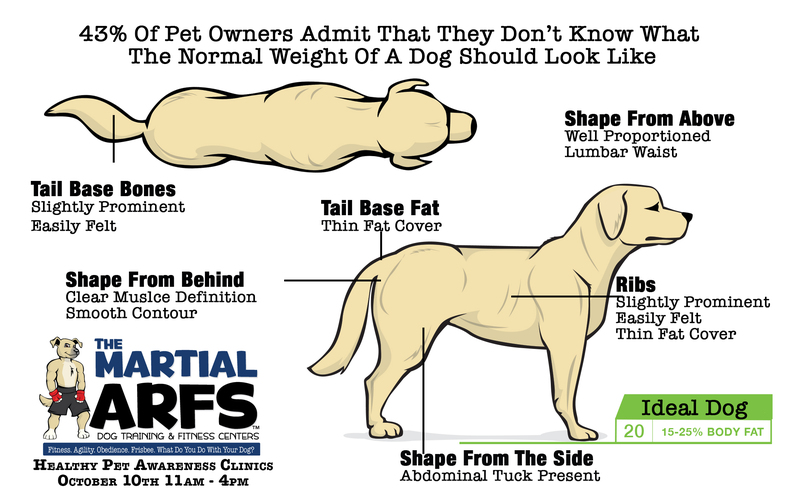 The closer to the ideal weight, the closer your dog’s body will maintain its normal homeostasis. However, the length of time and severity of the obesity is proportional to the damage done. 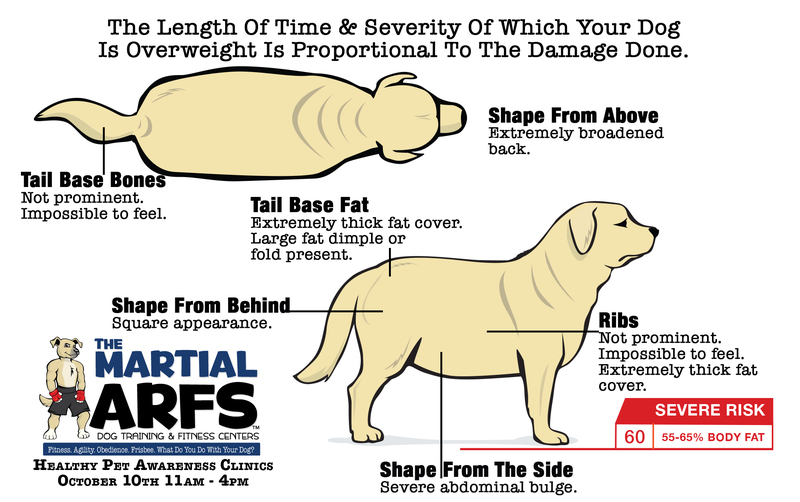 If your dog has not been overweight for very long, the inflammation can be completely reversed without any permanent damage. 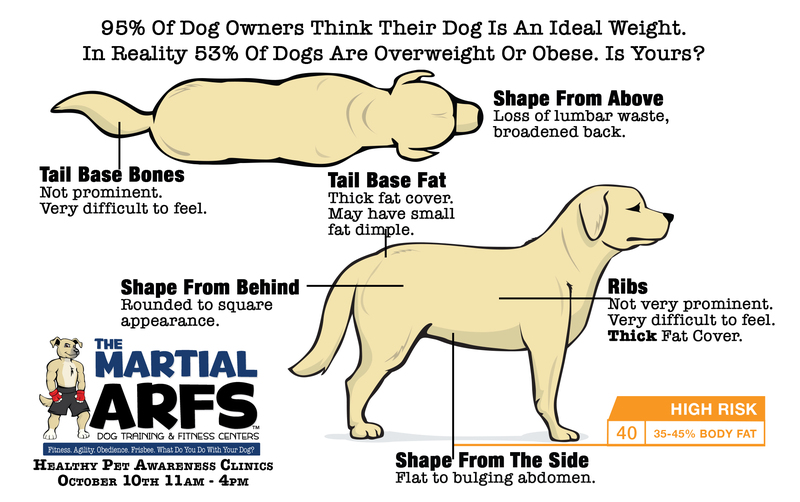 If your dog has been overweight for an extended period of time, the signs of disease and effects of the inflammation can be minimized by the loss of the excess weight. 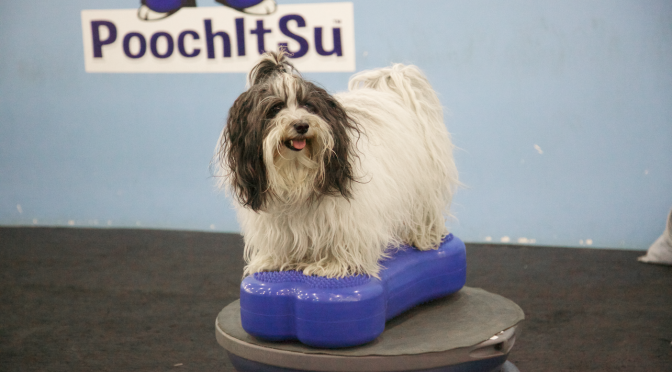 Plus, weightloss will improve your dogs ability to walk, breathe, move and function because the active process of inflammation will be gone allowing un-damaged tissue to perform appropriately making the dog overall feel better. 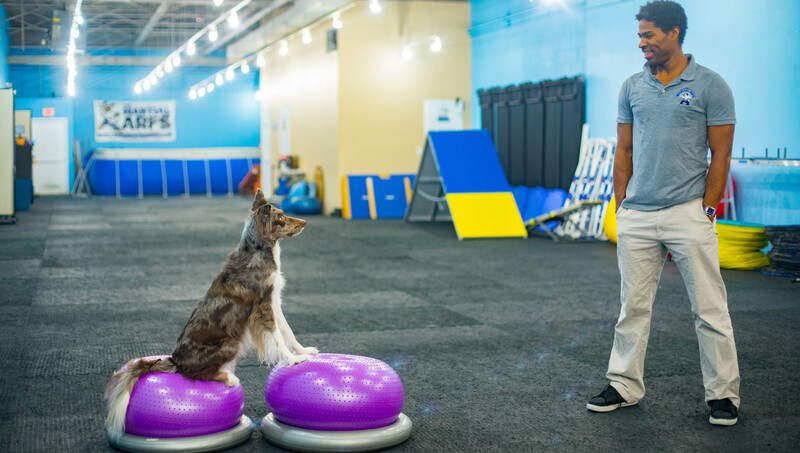 Helping your dog lose weight can be challenging because of the strong emotional connection to the pleasure food can produce. But remember, your dog may want that extra food, but he doesn’t want to die 2.5 years sooner. 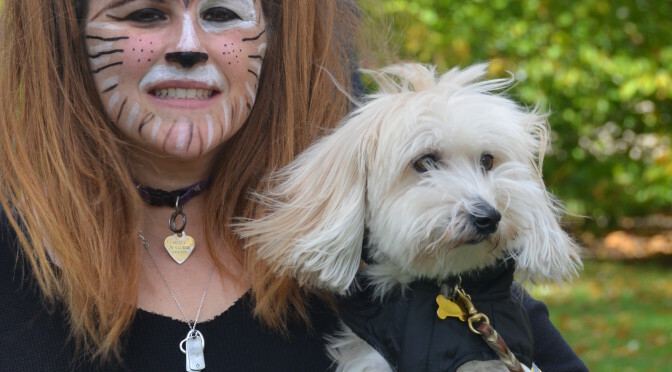 He may take the deliciousness while happily wagging his tail, but he doesn’t want cancer. He’ll freely take it from you but he doesn’t know what that extra food will bring about. 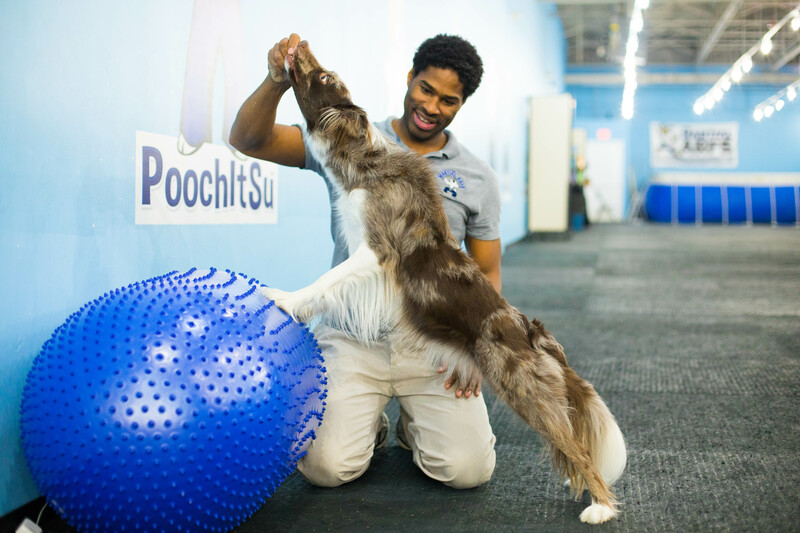 Your dog trusts you with their health and it is up to you as responsible pet parents to look out for the best interest of your furry loved one. There are so many other fun activities you and your bestie can do besides eat that extra morsel. Agility. Frisbee. Hiking. Biking. Walking. Running. Swimming. Obedience Training. Fetch and so many more. You owe it to your dog to give them the best life possible. The realities of over feeding your most loyal companion should be enough to stop you from doing so. 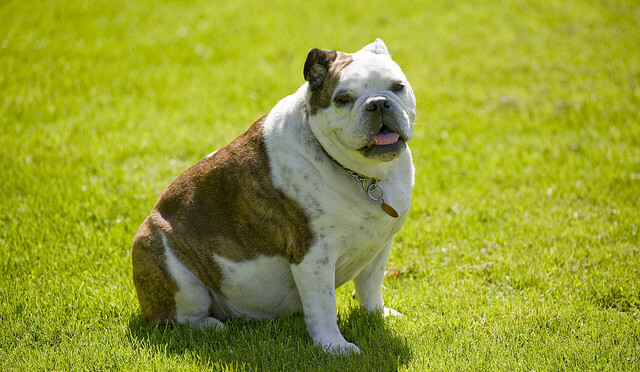 But if you still continually do so ask yourself this: Would your dog consciously make you fat? Would your dog continually overfeed you knowing that it would ultimately lead to sickness, cancer and an early death? NEVER. 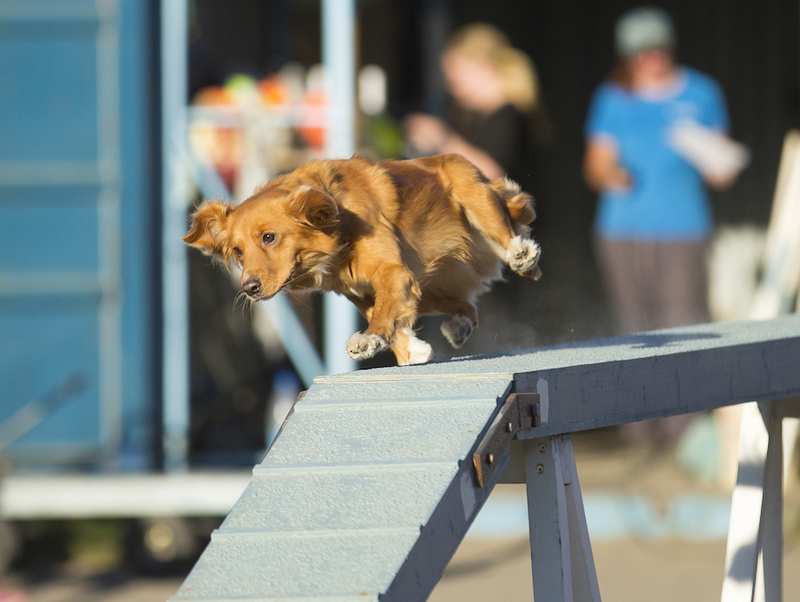 Your dog would get you up to run. Your dog would make you eat healthy meals. Your dog would be your strongest advocate for healthy living, because your dog wants you around as long and they can possible have you. As always, it is best to seek instruction from a veterinary professional before changing your dog’s diet. And don’t forget to sign up in order to be notified as to when our next blog post is out. Fat pets might look adorable sometimes but its really injurious to their health. It can reduce their lifespan.